If you love BIG views, this is the property for you! 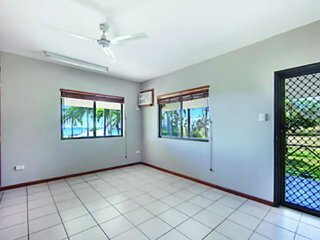 In fact, this 300-degree vista could be the best you've ever seen, taking in the cane fields, bushland, and spectacular ocean and island views from Townsville to Lucinda. Just 20 minutes from the beach - on an impressive 19.18 hectare block - 124 Probert Road, Bambaroo is your dream home. Bambaroo is the perfect location if you can't decide between a sea-change and a tree-change. Here, you get both! While the property itself is surrounded by spectacular countryside, including national parks and state forests, just a short drive will have you enjoying endless beaches, Paluma Rainforest, Crystal Creek and Jourama Falls. The beauty is never ending! Ingham has all the services and facilities you need, including primary and secondary schools, TAFE, a state library and regional art gallery, hospital, shopping, sports facilities and even an aerodrome.